Terry offers a wealth of experience in the public and commercial sectors in higher education and in the community sector. He is a published author and has senior/chief executive experience at each level of government in Australia and extensive representational experience overseas; including in the US, Canada, China, Japan, the UK, Europe, New Zealand and Papua New Guinea. His roles have included director general of a large and complex government agency; chair of a national chief executive officers’ (CEO) committee reporting to Council of Australian Governments ministers; principal policy adviser to a vice-chancellor; and deputy CEO of Universities Australia, the peak higher education sector body. Terry is active in community organisations and in 2016 published a book on the history of higher education reform with the support of the Australian Research Council. Sourced capital funding from the Queensland Government, in-kind contributions from Griffith University and a major non-government organisation to design and construct a Centre of Excellence for Autism at Logan. Terry is adjunct professor and principal research fellow at The Policy Innovation Hub, Griffith University and holds a Bachelor of Arts (Honours in history). 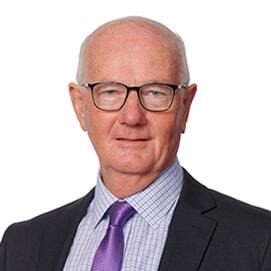 He has previously chaired a steering committee to establish a Bendigo Community Bank, raising twice the required minimum capital investment in half the time required. He remains active as a company director and committee chair. He is also chair of Samford Community Bank Steering Committee and Director of Pine Rivers Community Finance; president of Samford Show Society; and active in many school and sporting associations, such as St Margaret’s Rowing Support Group. Terry loves reading, films, good coffee and conversation. He is active in community organisations and used to run half marathons but has been reduced to walking due to the impact on his knees.